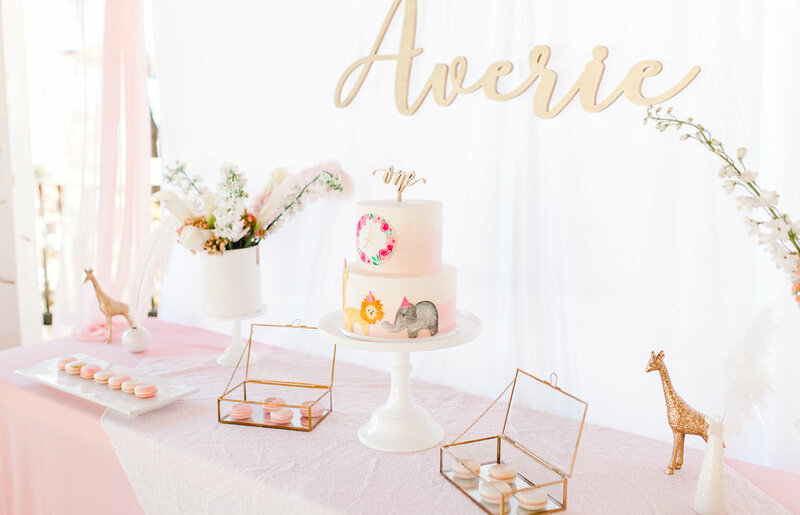 Averie's Wild ONE first birthday in the Turtleback Zoo Gazebo area was so fun to plan and design. At an outdoor venue in early November, the weather could not have been better. 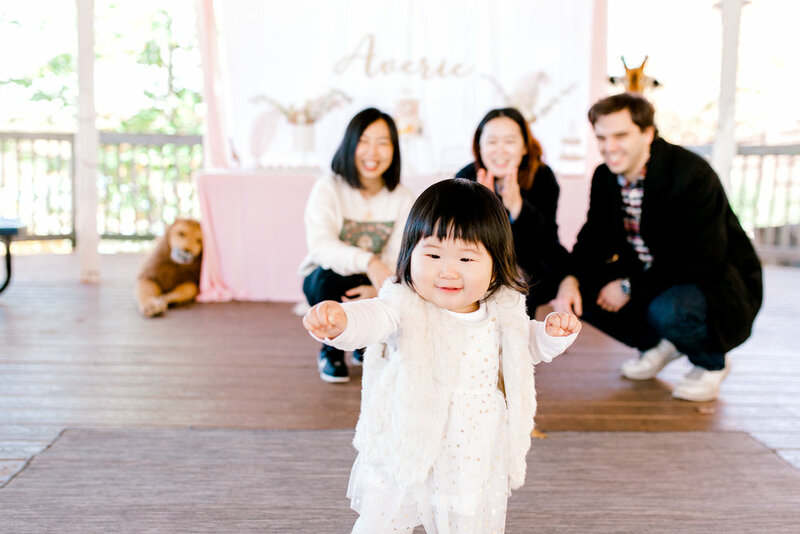 Nothing but bluebird skies and sunshine for Averie's first birthday. 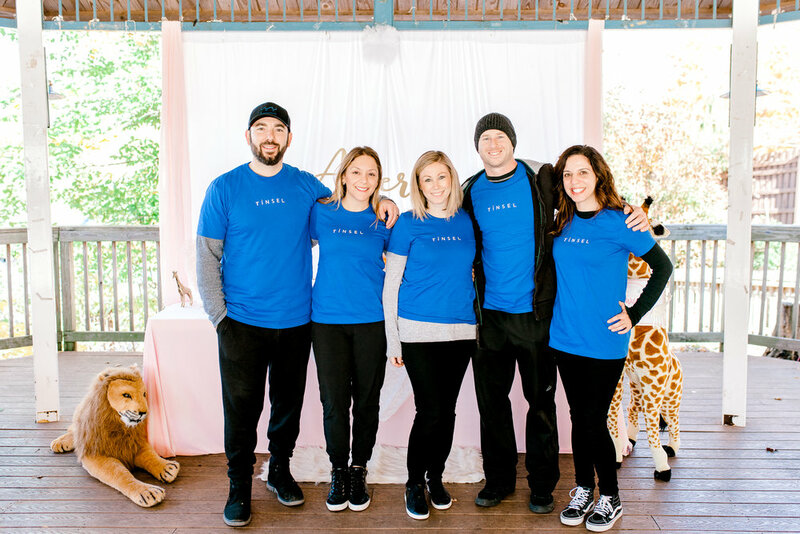 The Popseri team transformed the gazebo by adding draping, a backdrop, and a pink velvet tablecloth to cozy it up. We even installed a handmade fairy light chandelier! 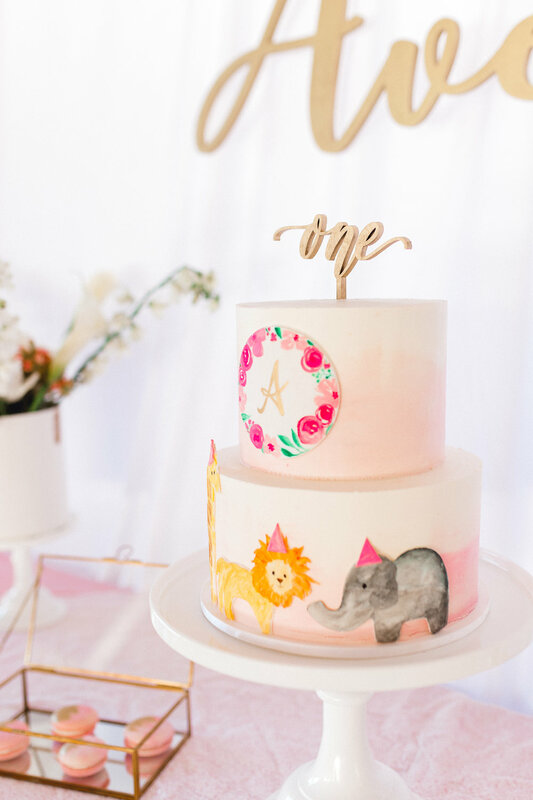 Whimsical touches of white, pink and gold coupled with feathers and velvet gave the venue a magical feel. Created and installed by POPSERI.